YOU DO NOT NEED A VPN ACCOUNT, USING THE INTERNET WITHOUT ONE IS FINE AND IF SOMETHING IS BLOCKED FROM YOUR SITE ONLINE, WELL IT’S USUALLY FOR A REASON. THAT IS THE TRUTH, HOWEVER THE REALITY IS THAT THERE IS A SECURITY RISK CERTAINLY WHEN USING PUBLIC WIFI. 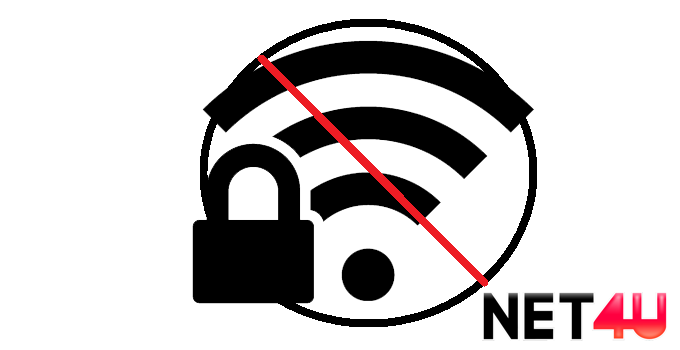 IF YOU ARE USING PUBLIC WIFI IN A COFFEE SHOP, HOTEL OR EVEN A WORKPLACE OR SCHOOL NETWORK, YOUR DATA IS NOT SAFE. IF THERE ARE HACKERS ON THE SAME NETWORK, THEY CAN ACCESS YOUR MAIL, YOUR PAYPAL, YOUR LIFE. USING A VPN DOES GIVE YOU A FULLY ENCRYPTED INTERNET CONNECTION AND ENSURES THAT YOUR DATA STAYS SAFE ANYWHERE AND ON ANY NETWORK. BEST OF ALL YOUR DATA STAY ANONYMOUS, PERFECT FOR THOSE WHO VALUE THEIR PRIVACY AS MUCH AS THEIR SECURITY. AS FOR REGIONAL BLOCKING, WELL ‘WHEN IN ROME’ THINKING MAY NOT BE FOR YOU. A VPN IS NOT ONLY A GREAT WAY OF WATCHING TV APPS FORM THE USA AND UK ABROAD BUT IT IS ALSO A GREAT WAY OF KNOCKING DOWN FIREWALLS (ESPECIALLY THE GREAT FIREWALL OF CHINA). DUBAI IS A GREAT CITY, BUT THE INTERNET RESTRICTIONS THERE ARE NOT. FOR A CITY THAT HAS MORE WESTERN EXPATS THAN LOCALS IT REALLY IS DIFFICULT TO LIVE A NORMAL ‘WESTERN LIFE’ IN THE MIDDLE EAST, UNLESS YOU HAVE A VPN CONNECTION ON YOUR DEVICE. WHEN IN UAE, IF YOU HAVE POLITICAL VIEWS, ALTERNATIVE ORIENTATION WANTING TO ONLINE DATE, OR LIKE TO GAMBLE, REMEMBER YOU ARE IN A COUNTRY WHERE HARRY POTTER WAS BANNED FOR PROMOTING WITCHCRAFT! SO YES NO WONDER THAT IS WHY MOST PEOPLE HAVE A VPN ACCOUNT (DESPITE IT NOW BEING ILLEGAL). RUSSIA AND TURKEY HAVE JOINED THE MIDDLE EAST AND CHINA WITH SOCIAL MEDIA CENSORSHIP. LINKEDIN IS NOW BLOCKED IN RUSSIA BY DEFAULT, THAT IS 4 MILLION USERS. WHEN YOU CONSIDER THAT LINKEDIN IS NOW RATED AS THE MOST VALUABLE COMPANY PER USER, THAT MEANS THEIR USERS HAVE MONEY, SO 4 MILLION PEOPLE EXTRA WANTING A VPN PERHAPS? THE 1.3 MILLION BRITISH BORN PEOPLE LIVING IN SUNNIER CLIMATES DOWN UNDER USE A VPN DAILY TO ACCESS BBC, ITV AND ALL OTHER BRITISH TV APPS (DUE TO THE FACT AUSTRALIAN TELEVISION IS BARELY WATCHABLE). THEN THERE IS THE CONSTANT CAT-AND-MOUSE GAME WITH NETFLIX USERS WANTING TO USE THEIR ACCOUNTS ABROAD ON HOLIDAY, BEING BLOCKED AND THEN ALLOWED.